Hello and Happy Friday! 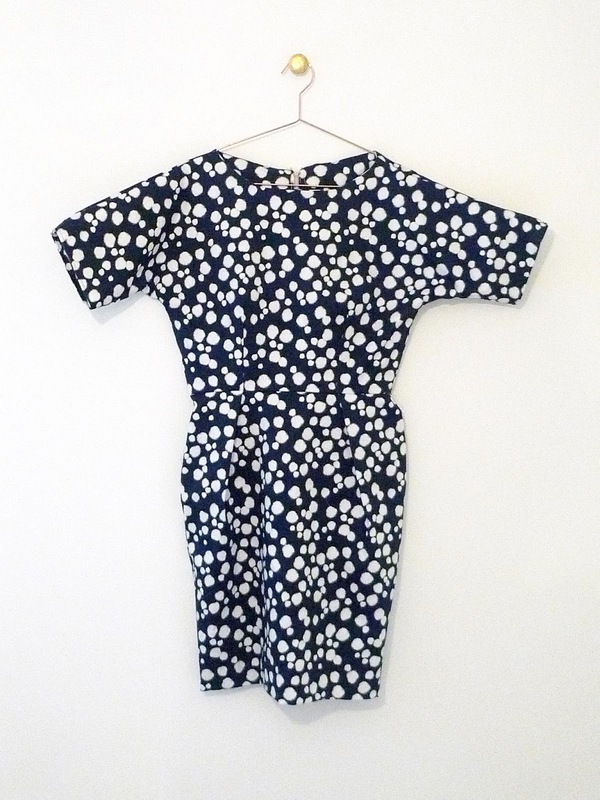 You're close to having a new Basel dress to wear this week-end. 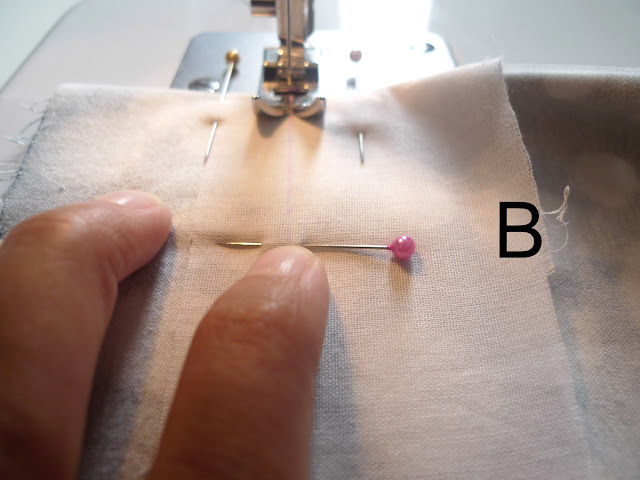 This tutorial is for finishing the kickpleat of the skirt if you are not lining the skirt. 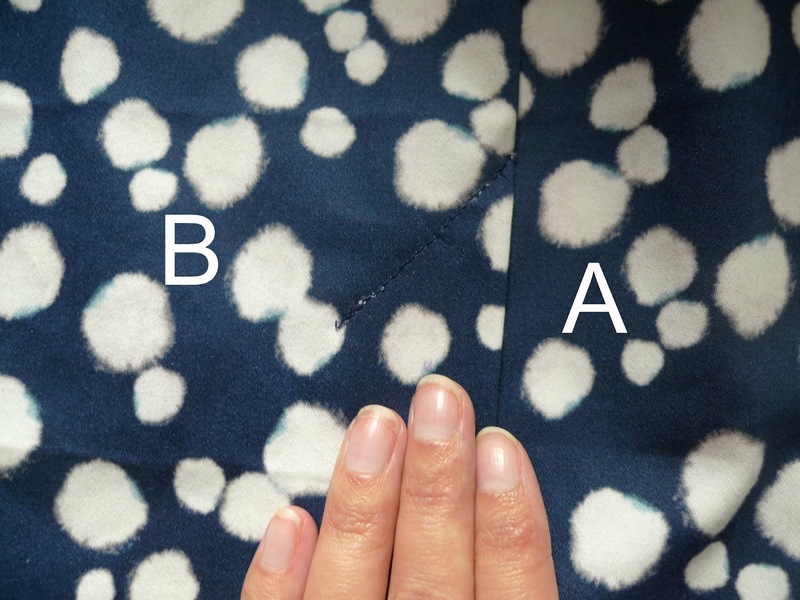 If you ARE lining the skirt, click here. 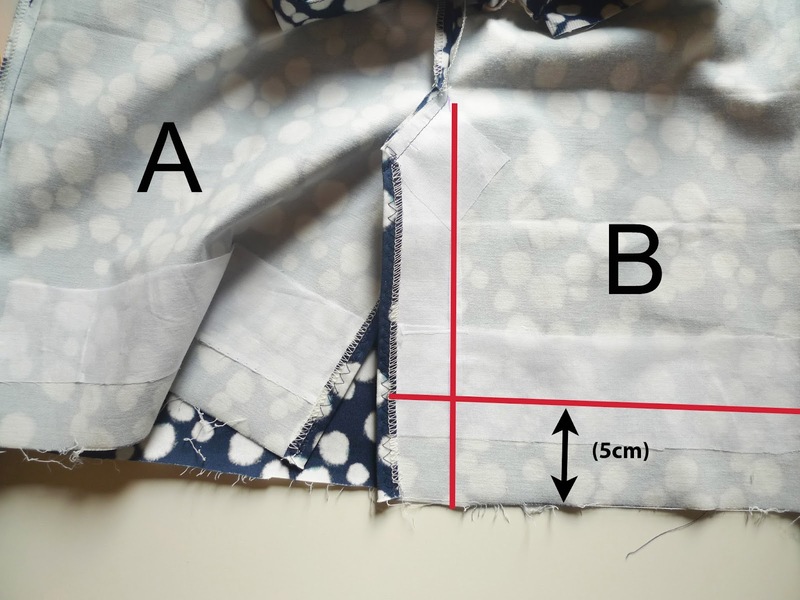 Add 4cm wide strips of interfacing to the wrong side of the skirt back only, just covering the hemline. Also add a strip of interfacing to the kickpleat itself, on side "B" only. 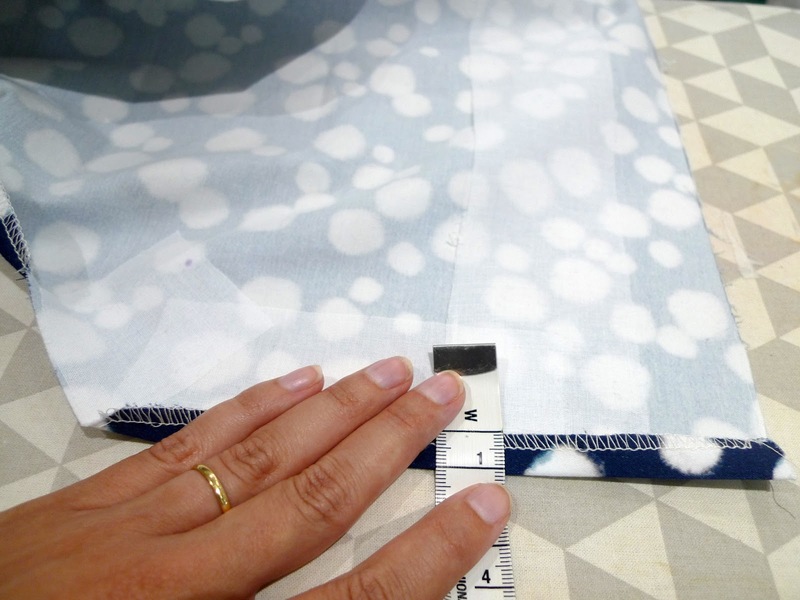 Turn in the raw edge of the kickpleat at the centre back by 1cm and press. 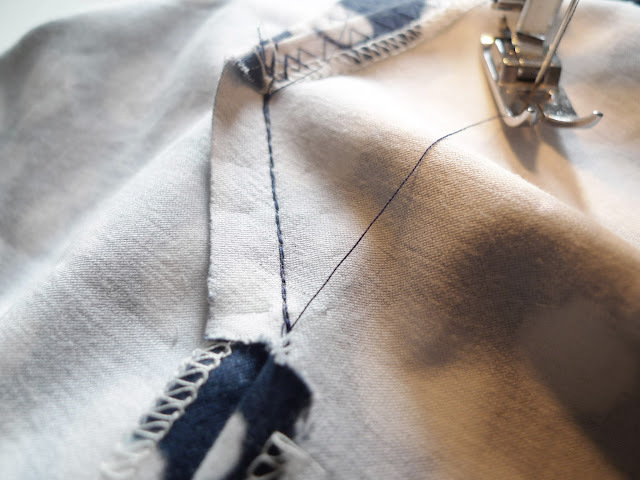 Zig-zag stitch down the length of the kickpleat on the newly pressed seam. Pin the centre back seam from below the zipper to the edge of the finished him on the top of the kickpleat. 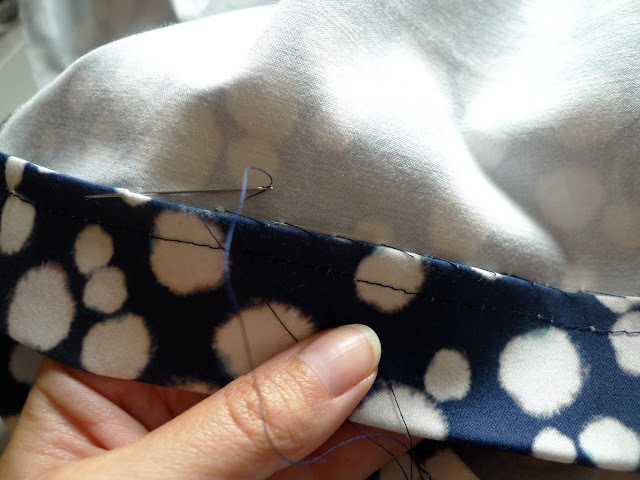 Stitch in place, leaving the kickpleat open. Clip just to the pivont point, on side A. 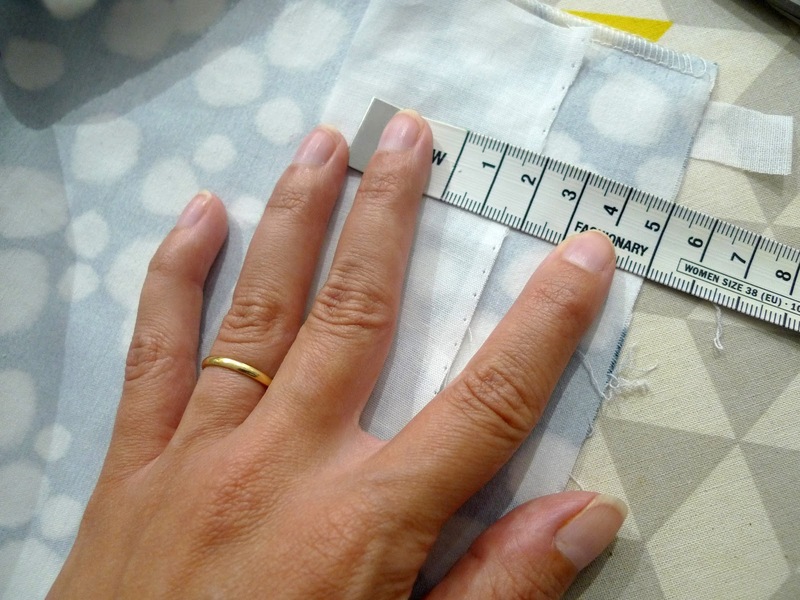 On side B, you may want to add in some lines with a fabric marker as a guide for this step. To do this, draw one vertical line from the centre back of the skirt to the hem, and one horizontal line for the hem (just a few centimetres long). Remember that the hem is 4cm +1cm to finish the raw edge = 5cm total. 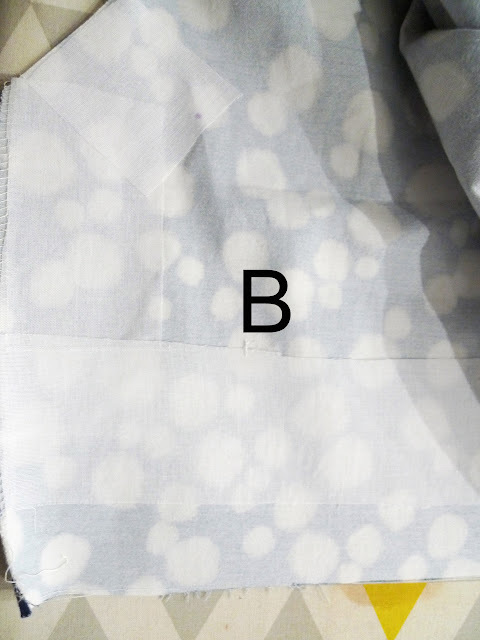 Fold the kickpleat at the vertical line, or centre back line, right sides together. 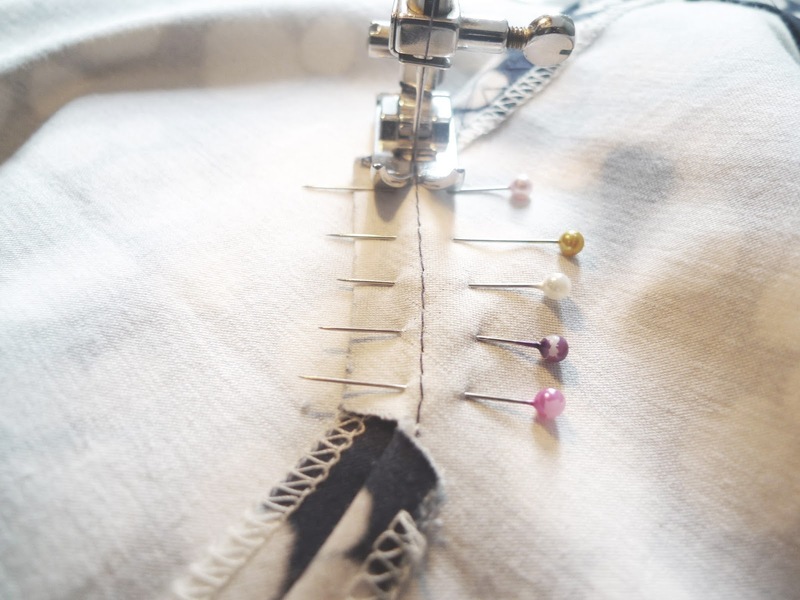 Pin in place, at the hemline. 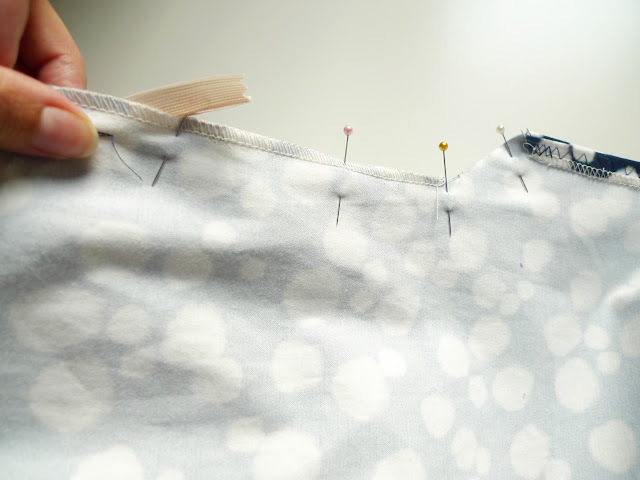 Stitch along the hemline, just long enough to catch the kickpleat underneath. 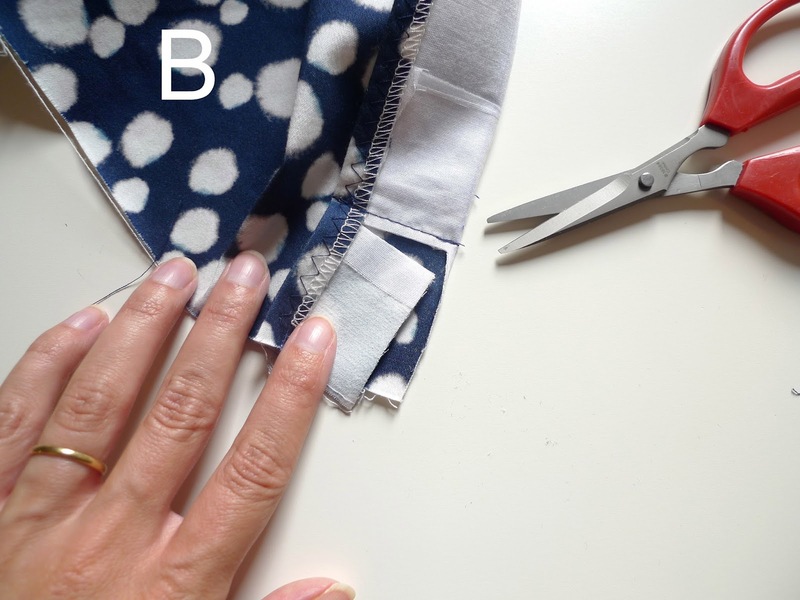 Cut away the excess fabric on the kickpleat as shown below. Turn the kickpleat right side out and press. Turn over the raw edge of the hem (1cm) and stitch. Turn up the full seam allowance of the hem (4cm) and stitch in place using a machine stitch, or stitch by hand as shown below. 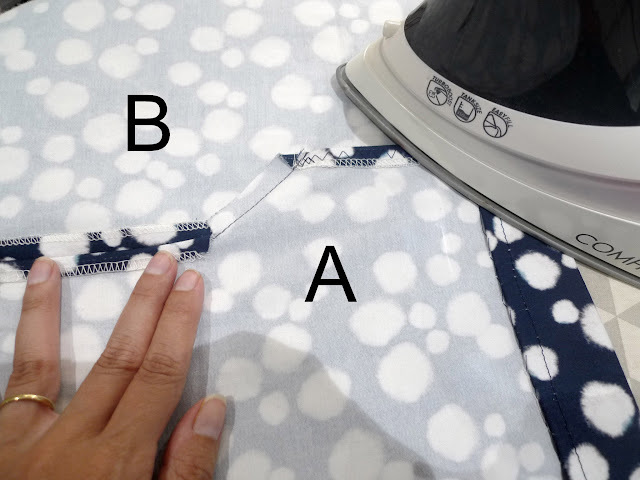 Press the "A" side of the skirt to the "B" side, along the centre back line of the kickpleat. Press the centre back seam allowance open. 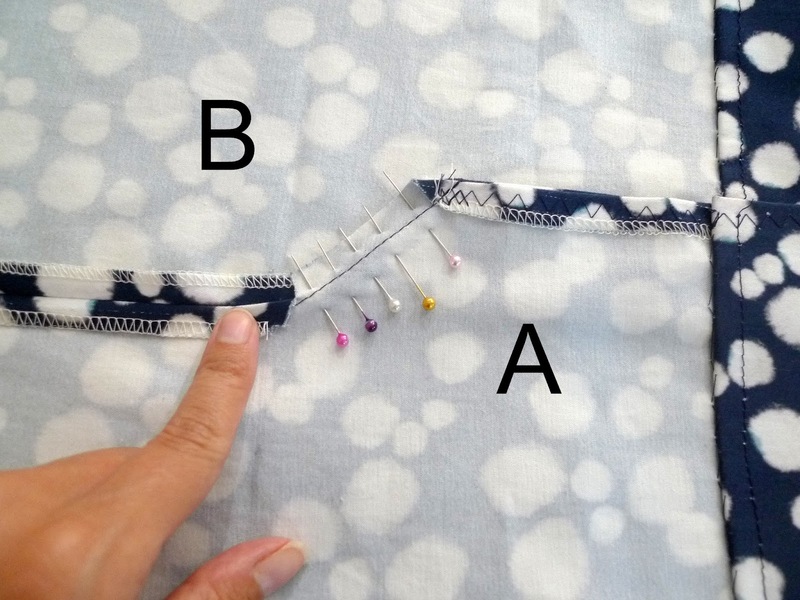 Pin the kickpleat in place as shown below. 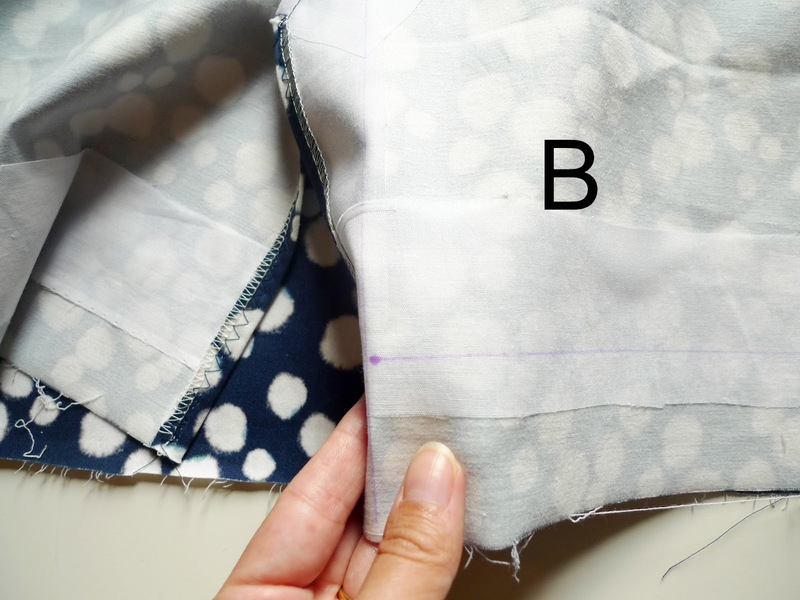 Using the existing line of stitching at the top of the kickpleat as a guide, stitch another line of stitches, catching all the layers of the kickpleat underneath. 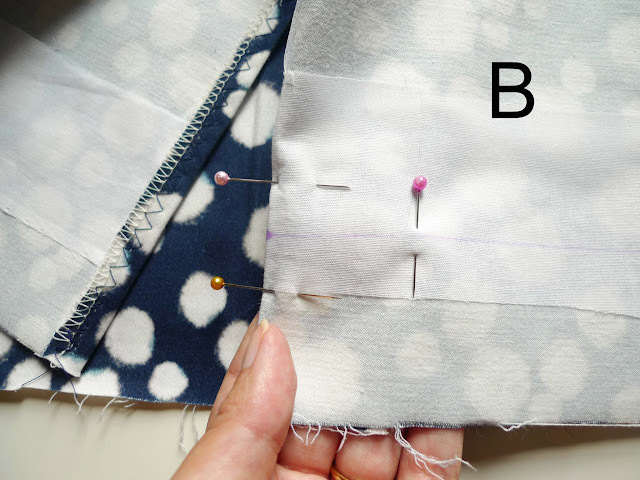 Make the stitch line runs only from the edge of the kickpleat to the centre back seam, and no further. When you turn the skirt right side out, you should have a neat row of stitches like this, at a 45 degree angle. 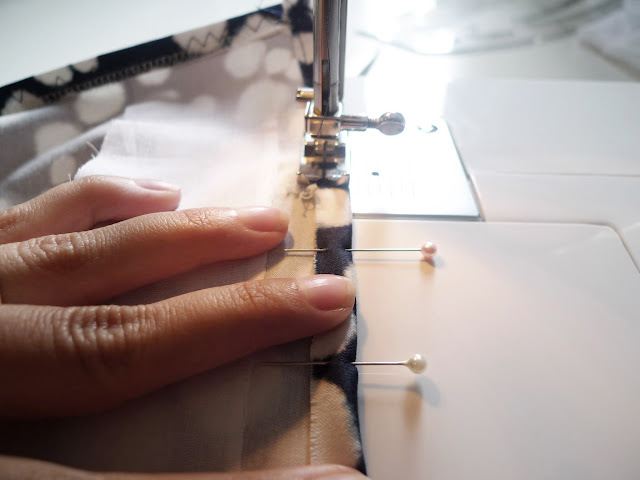 If you are not lining the skirt, you are nearly finished! 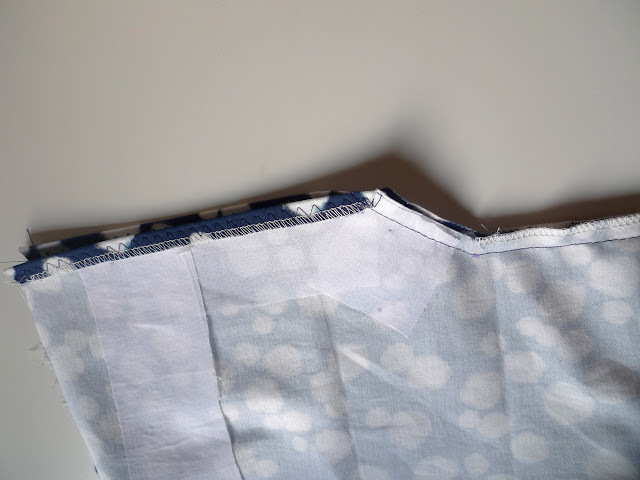 Just a few finishing touches - to secure the bodice lining by turning under the 1cm raw seam allowance, and slipstitching all the way around the waist and up the centre back on each side of the zipper. Voila! Thanks for joining me! 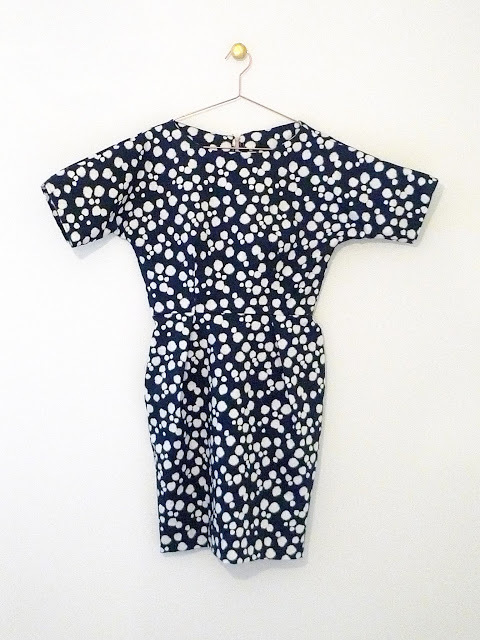 Share your Basel dress on Instagram #baseldress #honigdesign or email me at designhonig [a t] gmail [c o m]. I'd love to see it! 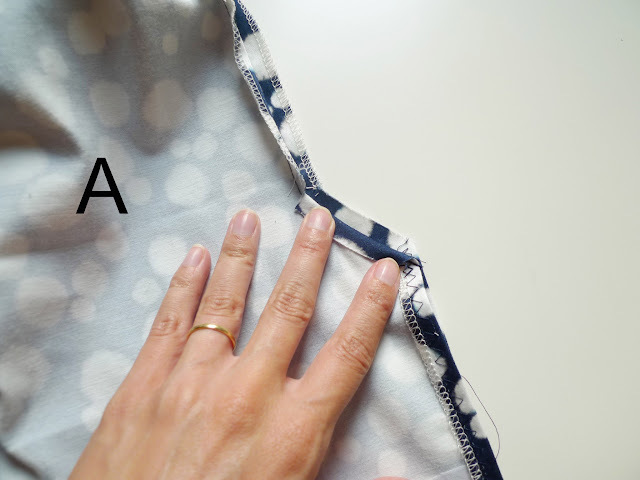 To see the same tutorial, but with a lining, click here. 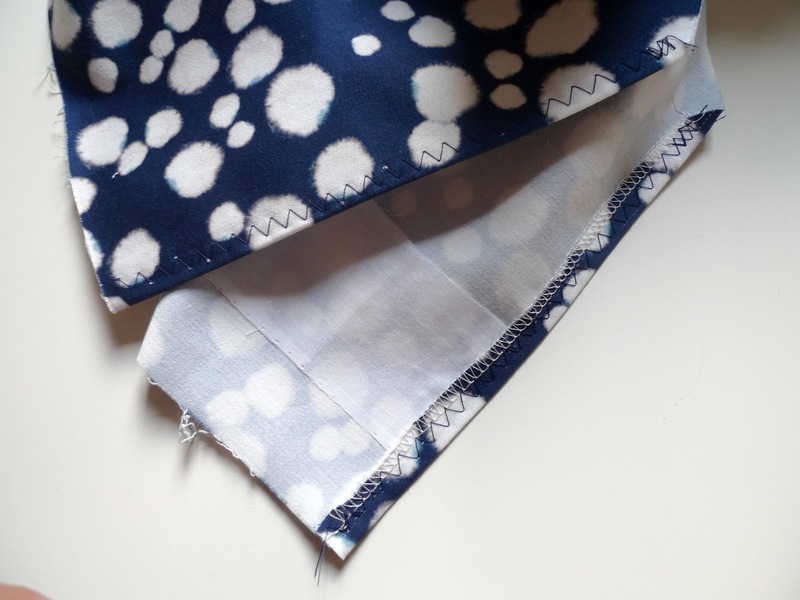 What a pretty fabric for the dress! And so helpful to have a detailed tutorial :) I've got the pattern in house, now I'm watiting for the fabric, shipping from Canada (Blackbird fabric), and some time to sew for myself. Into Christmas presents here at the moment.